Guild Ball By Steamforge Games is a combat football game that is so NOT a BloodBall substitute, but has partially filled that niche in the past couple of years. This is the first in Scifind’s series of articles looking at tabletop games. But Guild Ball is not a game of Orc/Orks and Dwarves, but of Alchemists, Brewers, Butchers, Engineers, Fishermen, Hunters, Masons, Morticians and The Union. 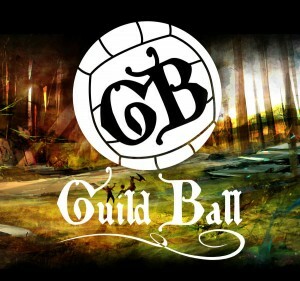 Guild Ball is more a perversion of the ‘Mob Football’ / Village Football of old. Where getting a pigs bladder from one end of the village to the other was the aim. Few rules and used to get a bit messy. So what is the Guild Ball world’s take on this? Alchemists’ are quick on their feet and capable with the ball, but not as resilient in combat as other teams. They excel in the early to mid-game due to their ability to cover a good amount of space. Brewers are incredible at soaking damage up in games of Guild Ball. They stand their ground and may win late in the game when they control the field with greater numbers. Buy Mortician’s Models and Accessories. Buy Union Models and Accessories.